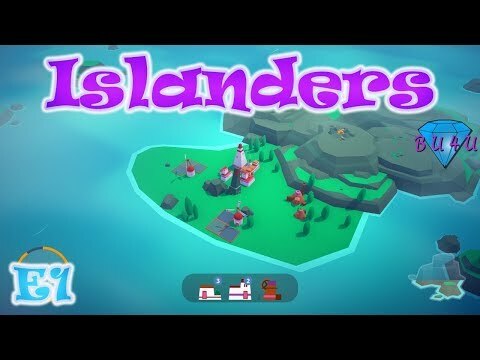 I keep playing and playing, I have no score, just more and more islands. When does it end? A very relaxing score chasing city builder which keeps your interest in short bursts. It's a shame there aren't objectives other than high scores to obtain, but due to its very reasonable price you'll definitely get your monies worth. ❤️Very relaxing with a melodic soundtrack. ❤️Easy to play but more complex than first appears. ❤️Meaningful achievements which are fun to chase. ⛔No friends leaderboard and cannot view the whole of the online leaderboard. ⛔ Cannot undo a move once object is placed. ⛔The scores are difficult to see on some desert maps. ⛔No objectives to obtain apart from a high score. 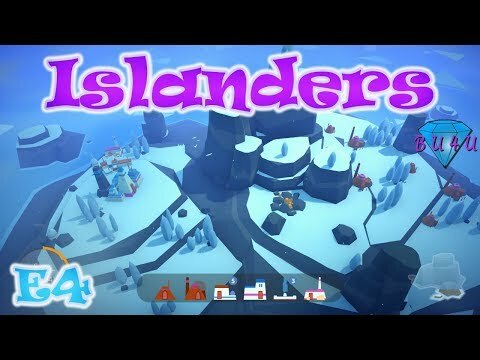 Islanders is incredibly easy to pick up and understand but underneath its simplicity lies much deeper strategic play. The gameplay does feel a bit similar throughout so it’s better to play in small bursts but I found it incredibly relaxing thanks to the wonderfully chilled soundtrack. Gameplay involves placing buildings and objects on a procedurally generated island. Depending on where you place them and what you place them near to, will depend on the score you achieve. There is a target score you must reach which gradually increases. As you gain points an island meter fills and once this fills you are free to move on to the next island. I would have welcomed a bit more detail in the environments. Changing weather conditions would have been nice to see; characters tending the land; boats in the water and different animals and wildlife inhabiting different terrains. I think this would have made the game a little more interesting, watching a city develop. There is a deeper strategy than just plonking objects where they are the most value. 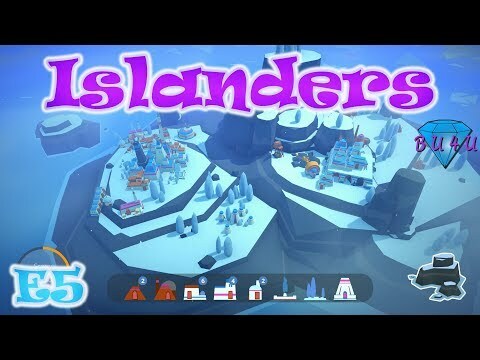 You have to consider the islands terrain, what objects achieve the highest bonus points and in which order you should place them. Land is always limited so you’ll need to rotate buildings and fit them as tightly together as possible. You get a choice of two packs and this also can have an effect on your progression. There does seem to be some sort of order to the pack choice. The packs get more complicated as you progress with bigger objects but with potentially higher scores. 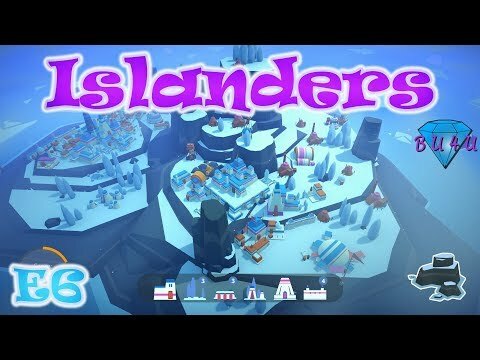 I am enjoying playing Islanders. I usually find I play an hour at a time as it does become a little tiresome if you play for too long. I never got the “one more go” feeling but I did find it incredibly relaxing to play. I wouldn’t describe it as a puzzle game but more of a score chaser. The asking price is very reasonable considering you will easily get 10 hours out of the game. I would highly recommend. You must reach a target score by placing building and items on a procedurally generated island. Once you reach that target score, a new target score is created. Gaining points causes your island meter to fill slowly and once the meter is full you will be able to advance to the next island. If you run out of buildings and have not reached the target score it is game over. You are presented with a choice of two packs and need to decide which pack to open. The other pack will be kept for the next choice and will stay until picked. There are quite a wide variety of packs to choose from, but you will see the same packs at the beginning of each game and the further you progress, the more diverse the packs become. Pack selection can be very important in the success or failure of your game. Within each pack are certain items pertaining to the pack. In a brewing pack you will always find hop fields and a brewery for example. In a fountain pack you will always find a fountain, houses and a mansion. The packs always contain the same items and you will start to learn what is in the packs the more you play. Unfortunately, there is no way of knowing what is in the pack until you open it. I would have liked to have been able to preview the cards in the park before deciding to pick it. You will also start to learn what items fit with others. Houses and mansions score highly next to city centers for example. There is no need to remember such information though. If you hover over the cards in the pack a description of bonuses is revealed which will inform you what scores highly next to each other. To gain high scores it is best to try and plan and leave room for buildings you know will score highly together. For example, a temple scores highly around houses and mansions but only appears later in the game. By placing houses and mansions which are readily available early in the game and leaving space for a temple in anticipation of it being dealt, you will score highly. The only disadvantage of this strategy is that you must guess how big a space you will need. There is no template or blue print for a temple you can use. This can become frustrating. Another factor to consider is the terrain. Certain objects and buildings can only be placed on certain terrain. You won’t be able to place a field on a desert region for example. If you were presented with an arid island, then you would avoid the farming pack. The trouble is that the farming pack will be in your next choice and the next choice and the next until you choose it. This forces your hand slightly if you want to avoid it! I think it would have been nicer to throw the discarded pack back into the pile and generate two new packs on each turn. Once you have chosen your packs and have opened them you need to place them somewhere on the island. You can freely move the building or item around the map and the score constantly changes as you move. You will always get a preview of the score before you decide to place it. Once you have placed the item it is stuck there and cannot be removed. An undo button would have been welcomed! You can rotate the buildings so they fit tightly together but there is no snap in place or best fit mechanic available which was a shame. I think this would have been very useful when placing houses and mansions as they are often shaped differently. The camera can be moved around but there is no zoom in or zoom out available. You can stay on an island if you wish, even if your island meter is full. You don’t have to move onwards immediately. This means you can build some nice looking civilisations but the islands tend to be very small and are designed to run out of space. There is no free mode or sandbox mode available yet. There are online leaderboards to compete against but no friend’s leaderboard. You cannot see the whole of the online leaderboard, only your score. This left me wondering what the top score was. The game is purely score based. It’s a shame they couldn’t have created other goals or objectives to obtain. I think that would have made it more fun. There is a very relaxing tune which plays throughout the game. Some people have reported that it is annoying, but I found it calming and not repetitive. There are a few wind effects and minimal effect noises, but sound is very basic. I think they could have improved on the sound with seagull noises, waves crashing on the beaches, weather effects etc.…. Graphics are quite basic too and could do with improvement. Why not include villagers tending the land or animals that roam around the map; boats in the water; waves lapping onto the beaches; weather conditions are all obvious inclusions. I didn’t enjoy this as much as I thought I would. I hoped it would have more puzzle elements and scenarios to aim for rather than purely score based objectives. Due to its very reasonable price I would still recommend this game, however. It is very relaxing to play and underneath its simple exterior does lie a deeper challenge. Follow our curator page: OCG-Curations if you like and want to see more reviews like this one. 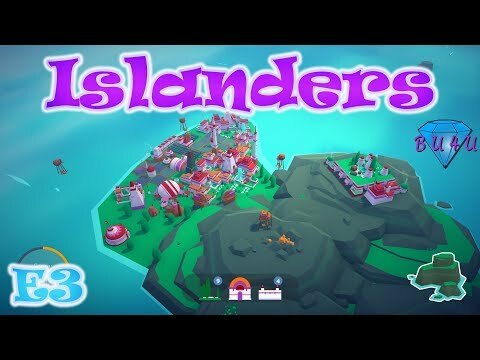 Simply put, ISLANDERS is delightful. Can't go wrong for five bucks. A goal without a plan is nothing more than a wish - plans are of little importance, but planning is essential! Here are the buildings scores, relative values and some strategies to help learn your own strategies. Most points from a single building? No Mason on snow maps?